JOSEF is a Jewish boy living in 1930s Nazi Germany. With the threat of concentration camps looming, he and his family board a ship bound for the other side of the world... ISABEL is a Cuban girl in 1994. With riots and unrest plaguing her country, she and her family set out on a raft, hoping to find safety in America... MAHMOUD is a Syrian boy in 2015. 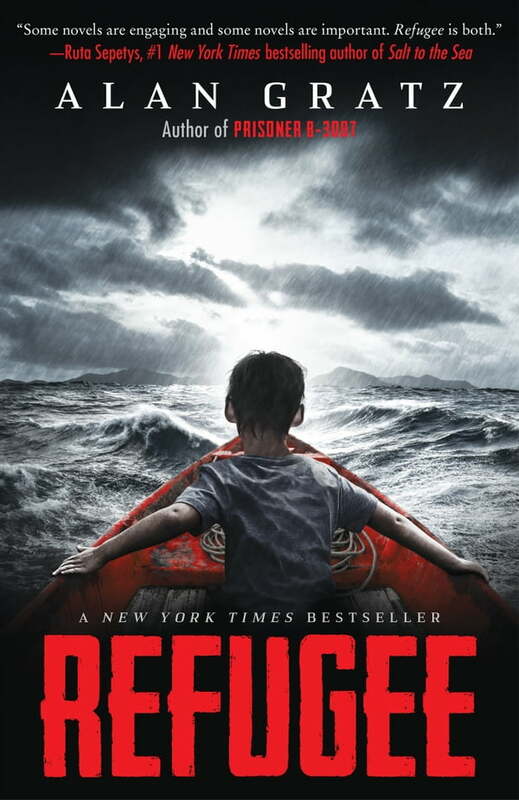 With his homeland torn apart by violence and destruction, he and his family begin a long trek toward Europe... All three kids go on harrowing journeys in search of refuge. All will face unimaginable dangersfrom drownings to bombings to betrayals. But there is always the hope of tomorrow. And although Josef, Isabel, and Mahmoud are separated by continents and decades,shocking connections will tie their stories together in the end.This action-packed novel tackles topics both timely and timeless: courage, survival, and the quest for home.